I do love the idea of this Smart accessory era... but there's just so man incarnations... which is right for you? 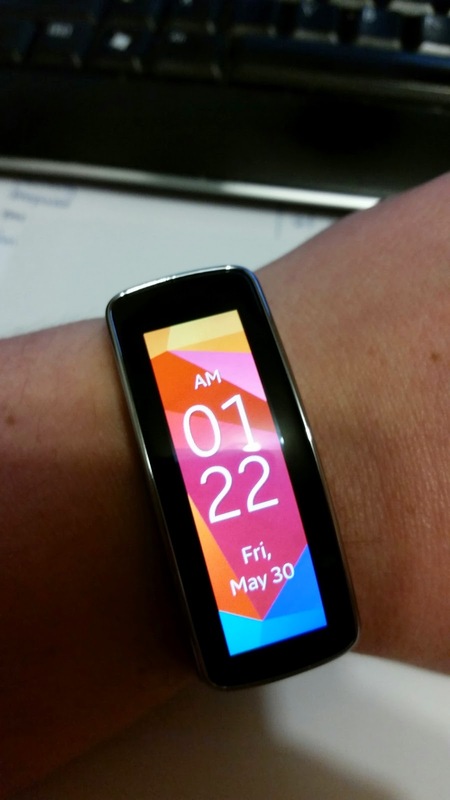 Well here's my take on the Samsung Gear Fit. A nice accessory to just about any user, so long as the user is using specific Samsung devices. The Gear Fit is a nice balance between the 'fitness bands' and a smart accessory (ie. one that mirrors some function of your device). This is a real nice wristband, with a pretty slim profile that doesn't cumber the wrist. The display is gorgeous and really lights up well and can be seen outdoors quite well. It really has the 'Ooooh, what's that' feature as folks around you will be sure to notice it. 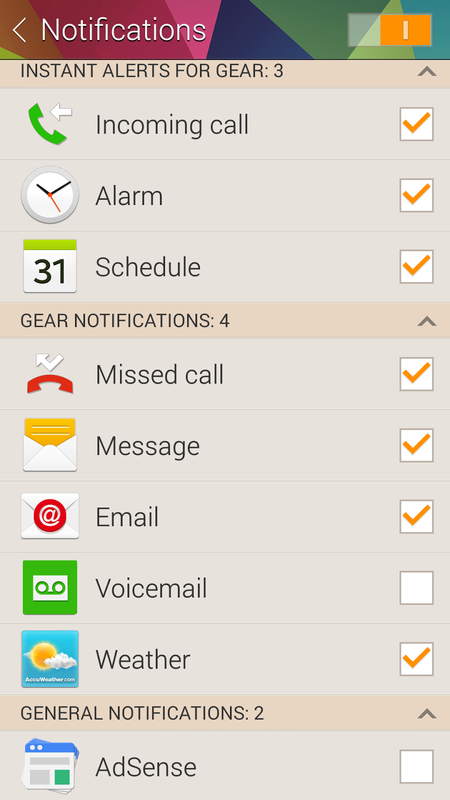 To pair it with your Samsung device, download the Gear Fit Manager from Samsung Apps. Pairing is nearly instantaneous from the start and once paired it connects flawlessly whenever you're in range. It has a couple fitness applications: Pedometer, Exercise (Running, Walking, Cycling) and Heart rate monitor. Oh, and it has a sleep monitor. Not sure if that's 'health' or not. For each of the exercises you can set it up to monitor your heart rate while you exercise, so you can note how your body is responding. I guess I'm just not that health conscious to understand... but at least it's there, and it's novel. The sleep monitor is interesting to see if you toss and turn as it notes how much of your sleep you're 'motionless' for. I guess if you had some sleeping disorder that percentage would be lower. 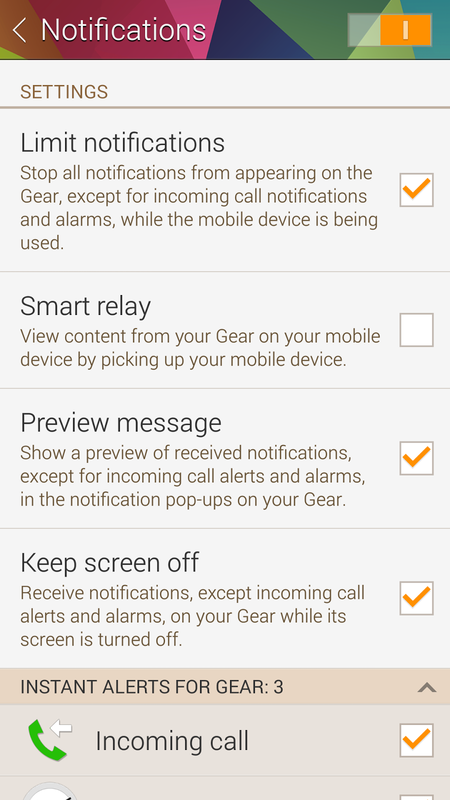 As for 'apps', it has a timer and a stopwatch (obviously for sports reasons) and a really good media control feature (though I wouldn't recommend playing with that while you're cycling), but it also has 'notifications', a feature that mirrors some of the features of the actions on your phone. They work quite well at showing you what they are and it's even not too hard to read the longer hangout or email messages. It's enough to give you the gist of what the message was, and if you needed more, there's a button to bring it up on your phone. Very handy. I found myself putting the phone away more and just glancing at my wrist ... that way I only needed to take out my phone when it was absolutely necessary. Battery life was really good. I was getting about 2-3 days out of it, depending on use (I'd leave it on during the night as I would measure my sleep as well). Overall, I have to say I liked the device. I just wish it worked on more than Samsung ones, but that's a fight for another day. It's sleek, it fits well and does exactly what you need it to do. I'm not much on 'fitness', and when I did do something that could be logged by it I found myself forgetting to set it to count steps or start walking... but for me the best feature was getting all the notifications and basic actions.